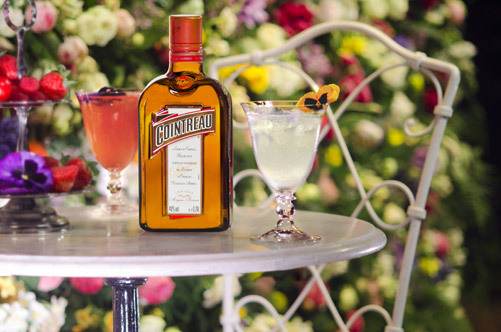 Cointreau are a big brand, owned by Remy Cointreau (a huge alcohol company – many fingers in many pies), and they have been putting on a weekly event recently: The Cointreau Fizz Garden (5th Floor Magdalen house, London Bridge). 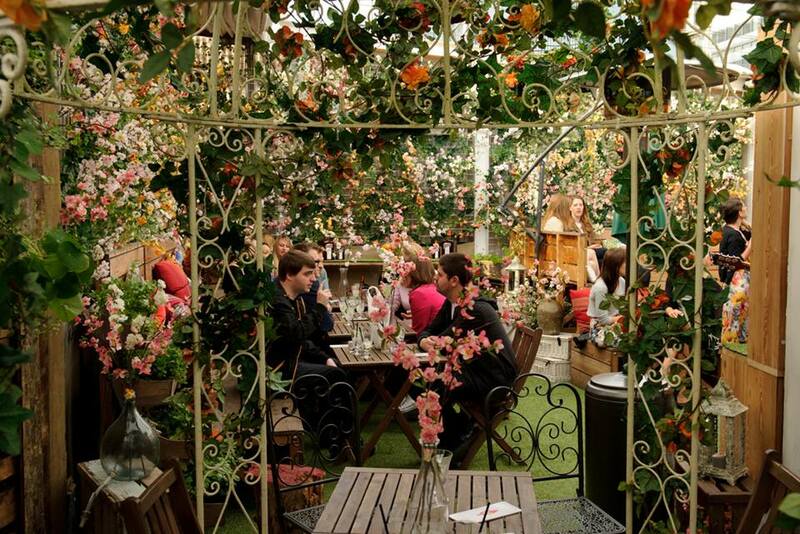 Tickets for this event were given away for free on a first come first served basis through Cointreau’s UK Facebook page. I got tickets for me a 4 of my friends for the 25th June event. However as the night went on, it became apparent that only 3 cocktails were offered to us. Although it was still a great selection, this was not made apparent until we got to the bar and saw the amended menu’s there. This was a shame as some of the cocktails not on offer looked amazing (I’m especially thinking of the Passion & Pepper one). The biggest problem, however, was the amount of people allowed to attend. Whilst I’m all for letting as many people as possible experience a bespoke event like this, there needs to be some sort of line drawn so that the people at the event can enjoy it fully. After going to such lengths to ensure an amazing venue, with a great view and then managing to create a garden-like atmosphere there, it seemed a shame to let it be ruined (in part) by the attendance of so many people. At one point me and my friend were waiting, at the front of the bar, for around 35 minutes before being served and even then the sheer volume of drinks orders meant we were kept waiting as the bartender made 8-10 drinks at a time. All that aside the event itself was, overall, fantastic. The sun set behind the shard and the light was refracted and reflected all around us, combine that with great company and a very cool acoustic set from a talented musical duo, and then throw in the sometimes strange and weird tasting canapé’s the Cointreau ladies were serving, well, you just cannot fault it too much. It wasn’t perfect by any stretch of the imagination, but it was worth going all that way to experience and if I’m completely honest, I’d go to another one! Especially if they addressed the minor issues. 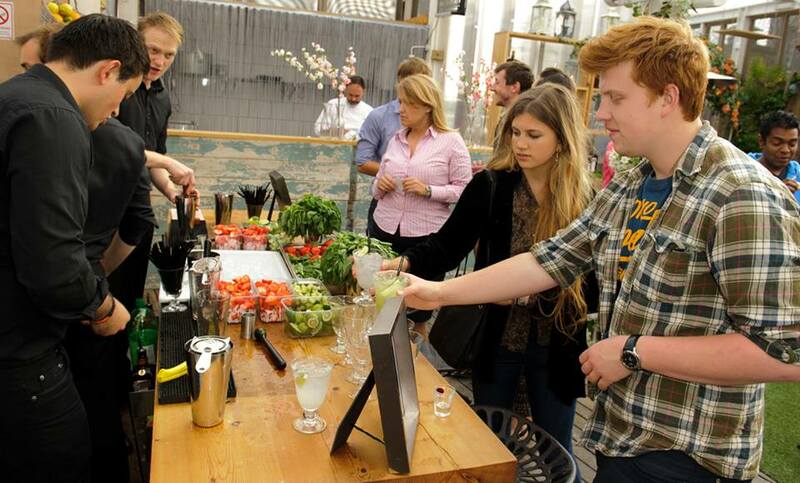 The idea of keeping the cocktails in the ‘Fizz’ genre was fantastic, and the selection of flavours was plenty varied for the beginning of the event, in the least. I tried the Strawberry & Mint and the Original Fizz cocktails, both of which were fantastically balanced. The use of fresh ingredients was evident and really gave the drinks a little ‘je ne sais quoi’ not to mention a little kick. The first impressions were stunning. 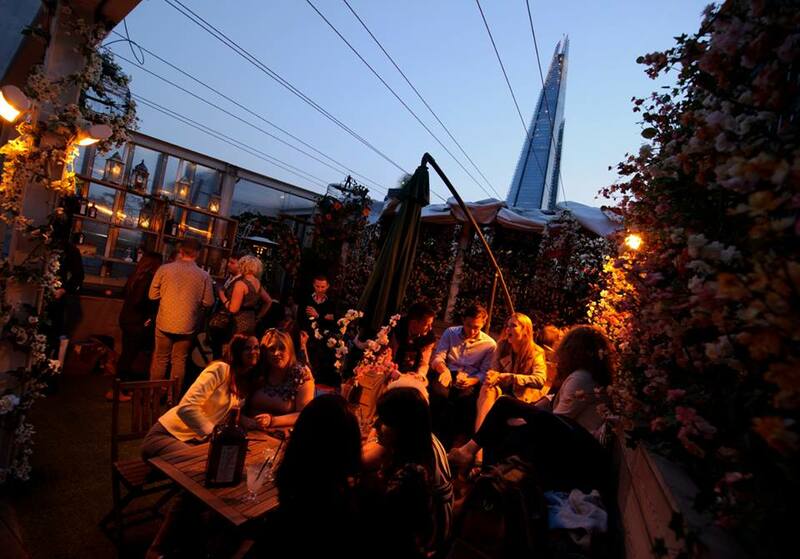 To see the transformation from a London rooftop to a Parisian garden was simply superb. Colours were well thought out and the table arrangement was well planned. The only improvement would be to the ceiling, although half was open and showing off the view of the Shard (again this was a stunning view), the other half was covered by dirtied plastic sheeting and really did ruin some of the illusion. At the beginning of the night the service was excellent and it was easy to go and get a drink. However as more people started to turn up it became clear that the bar was far too small and they had not planned for so many people/orders coming in. The Staff seemed quite overwhelmed and always behind (not their fault, there was only 3 guys behind the bar). The food service (canapés) was slightly better however, with the two ladies making their way around the crowds gracefully and making sure everyone got the choice to try a selection of savoury and sweet dishes. Overall this event was fantastic. Whilst there were some flaws on show, the event came across as well thought out for the most point. The service really lacked but mainly to the high influx of attendees in the latter part of the evening. Receiving the ‘goody-bag’ on the way certainly went some way to making up for it. I definitely recommend you all try to get tickets to any future events they hold if possible. 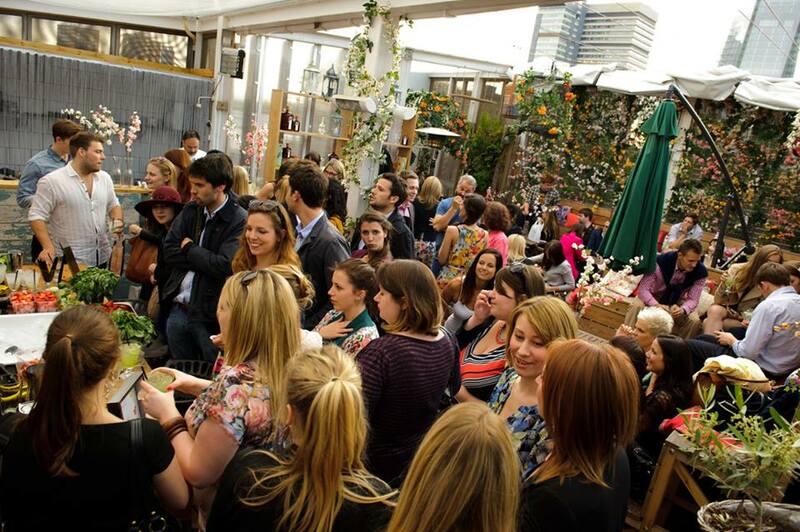 Disclaimer: all pictures used on this post are either my own, or from the Cointreau Fizz Garden album.